Ragamama Ragassan promise to provide a professional and seamless event management and catering service in a creative, innovative and cost effective manner, ensuring Raggasaan clients specific aims and objectives are fulfilled, their expectations are exceeded. They believe in providing a “value-added” service, which has evolved over the years, as has their experience of unique events. Established in 1997, Ragamama was set up specialising in catering. By popular demand, the company then became increasingly involved in the planning, logistics and management of large parties and corporate events. It continued to thrive and rapidly built a reputation within the industry for being innovative, professional and entirely flexible. Reacting immediately to individual client requirements resulted in their enviable reputation and success. 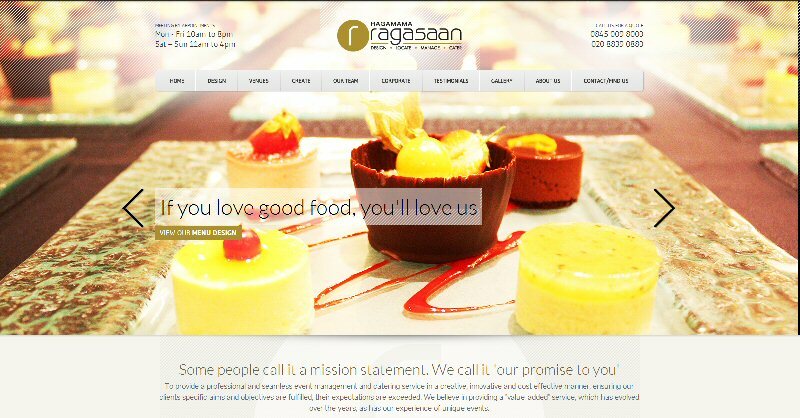 By 2005, the company rebranded its product and became Ragamama Ragasaan Caterers and Event Management. During these years, the company has catered and managed many events, from corporate functions to VIP parties, product launches to conferences, house warming parties to charity events, weddings to birthdays. mile to ensure the success of your event – that’s why we don’t simply ‘manage’ things – we ‘orchestrate’ every single component of your special day, so that what you see and get, far exceeds anything you could have possibly imagined! We have years of experience in special event management and offer a unique service, which begins with sourcing the right venue, organising and managing all aspects of your event or party. We have an excellent reputation and always provide a professional level of service. We strive to fulfil our clients’ expectations and objectives in a creative and cost effective way; and create concepts to achieve your dreams and work within your budget. To provide a professional and seamless event management and catering service in a creative, innovative and cost effective manner, ensuring our clients specific aims and objectives are fulfilled, their expectations are exceeded. We believe in providing a “value-added” service, which has evolved over the years, as has our experience of unique events. Quite simply, we’ll provide professional, seamless event management, with a special mix of cuisine and décor that will leave you and your guests incredibly satisfied!